With the USB-RS485 bidirectional converter IC4, you can create an extra serial port on a notebook or PC and connect a serial device to a free USB port. It provides reliable galvanic isolation between the interfaces. The device is powered directly from the USB port. 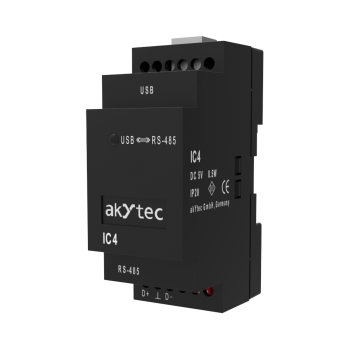 With the USB-RS485 bidirectional converter IC4 you can create an extra serial port on a notebook or PC and connect a serial device to a free USB port. 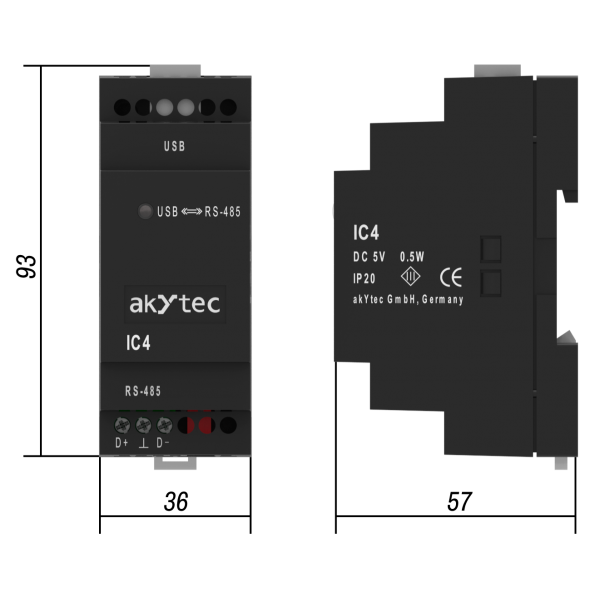 It provides reliable galvanic isolation between the interfaces. The device is powered directly over from the USB port.